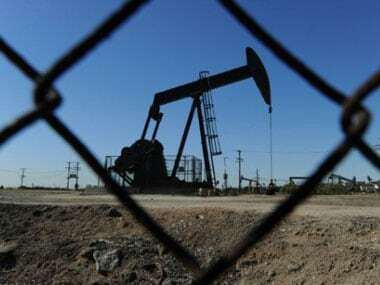 Benghazi: Some 400 prisoners escaped from a jail in the Libyan capital, authorities said, as recent fighting between rival militias that has killed dozens compelled the UN-backed government to declare a state of emergency in and around Tripoli. The inmates overwhelmed guards and forced open the gates of the Ain Zara prison after riots broke out there, police said on Sunday in a statement posted on Facebook. The prisoners included many supporters of the late Libyan leader Muammar Gaddafi, who had been found guilty of killings during the 2011 uprising that ended his rule and plunged the country into chaos. 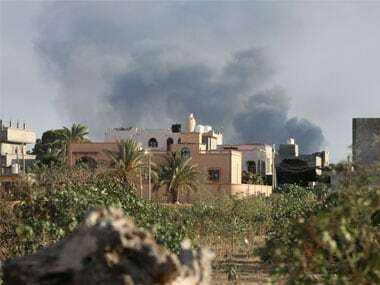 The fighting in Tripoli erupted last week when the Seventh Brigade, militias which hail from Tarhouna, a town about 60 kilometres south of Tripoli, attacked southern neighborhoods of the capital. The Tripoli Revolutionaries' Brigades and the Nawasi Brigade, militias which support the UN-backed government, have come to the city's defence. At least 47 people, including civilians, have since been killed, and another 130 have been wounded, the Health Ministry said. The UN Humanitarian Coordinator in Libya, Maria Ribeiro, said the fighting has forced families to flee their homes and she voiced concern for the safety of internally displaced people, refugees and migrants in Tripoli. Yusuf Jlala, the minister of state for displaced affairs, said the fighting has displaced more than 1,800 families in the Ain Zara neighborhood since the clashes began on 27 August. Many have taken shelter in schools or with relatives, while others have left the city, he told The Associated Press on Monday. Some families, he said, refused to leave city fearing that their properties would be looted. Most of those families are in need of food and drinking water, he said. At least 1,000 families are expected to be displaced from the Abu Salim district in the coming days if the fighting escalates, he warned. He said his ministry has received more than 2000 distress calls from residents in the capital over the past two days because of indiscriminate shelling. Jlala said relief teams and paramedics have been attacked and ambulances looted amid the chaos in the city. Residents also described scenes of chaos. "It is not safe to stay at home due to the shelling, and it is not safe to go outside as militias and criminals are wandering around the area, looting whatever they can get their hands on," said Salem Taleb, a 33-year-old resident of Ain Zara. 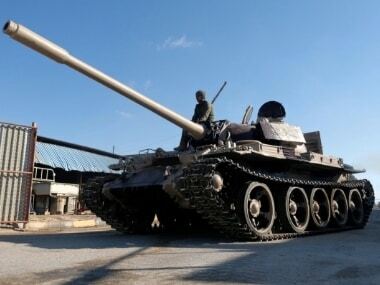 The government declared a state of emergency in and around Tripoli, saying the fighting is "an attempt to derail peaceful political transition" in the country. The government said it "could not remain silent over the attacks on Tripoli and its suburbs, which is a violation of security in the capital and of citizens' safety". UN Secretary-General Antonio Guterres has condemned the violence in and around Tripoli and called on all sides to abide by a UN-brokered ceasefire. The UN mission in Libya called on "the various concerned parties" to meet tomorrow for an "urgent dialogue on the security situation" in Tripoli. It said a venue for the meeting will be announced later. Libya is currently governed by rival authorities in Tripoli and the country's east, each of which are backed by an array of militias. Other armed groups have carved out fiefdoms across the country, with many profiting from smuggling and extortion. Elsewhere in Libya, a rocket fell on a camp for people displaced from the town of Tawergha, killing two and wounding 15 others, according to the municipal council. A powerful militia from the nearby city of Misrata drove Tawergha's residents from their homes during the uprising, accusing them of siding with Gaddafi's forces, which had used the town as a staging ground for attacks on the city. Many have been living in makeshift camps since then.